Important update from the AMA - Tuesday, February 6, 12:49 p.m.
As a result of advocacy by the American Medical Association (AMA) and other physician groups, language extending the misvalued code offset has changed for the better. Earlier reports were that Congress was considering two additional years of this policy which would result negative updates in 2020, threatening to reduce Medicare payments to below 2015 levels. However, as proposed, the policy is still expected to significantly reduce the statutory update of 0.5% for 2019. We are pleased that a number of MACRA fixes supported by the AMA and many physician groups were also included, specifically: elimination of the application of MIPS adjustments to Part B drugs; three years of additional flexibility for the implementation of both the cost component of MIPS and the requirement that the threshold for success be set at either the mean or median; and additional authority for the Physician Focused Payment Model Technical Advisory Committee (PTAC) to provide feedback to model developers. Significantly, the package also reauthorizes funding for community health centers and the National Health Service Corps, and the Teaching Health Center GME program is reauthorized and significantly expanded. As an offset, significant cuts were made to the Prevention and Public Health Fund. Though the bill technically eliminates the fund after 2027, we expect that provision to be removed at some point. In view of the House change on the misvalued code policy we suspended our grassroots alert. Things are moving so quickly with this package and we are fully engaged with members of the Senate to make further improvements. We will let you know if there are additional steps you can take to support further improvements. The House is expected to take up the legislation as soon as this afternoon. Funding for the federal government is due to expire on Thursday, February 8, without further action by Congress. This fifth Continuing Resolution would fund government operations through March 23. And allows the Physician Focused Payment Model Technical Advisory Committee (PTAC) to provide initial feedback on models regarding the extent to which they meet criteria and an explanation of the basis for the feedback. Extends the misvalued codes provision for one additional year (2019), which would require CMS (based on the recommendations of the AMA / Specialty Society Relative Value Scale Update Committee (RUC)) to reallocate 0.5% of fee schedule spending from “overvalued” codes. If less than 0.5% adjustments are found, all physician fee schedule services would be reduced by the difference. This process has produced significant reallocation among services since the RUC undertook the project almost ten years ago and almost all of the fee schedule spending that is available for review has already been reviewed. Given this fact, extension of the provision into 2019 is expected to significantly reduce 0.5% fee schedule update for 2019. 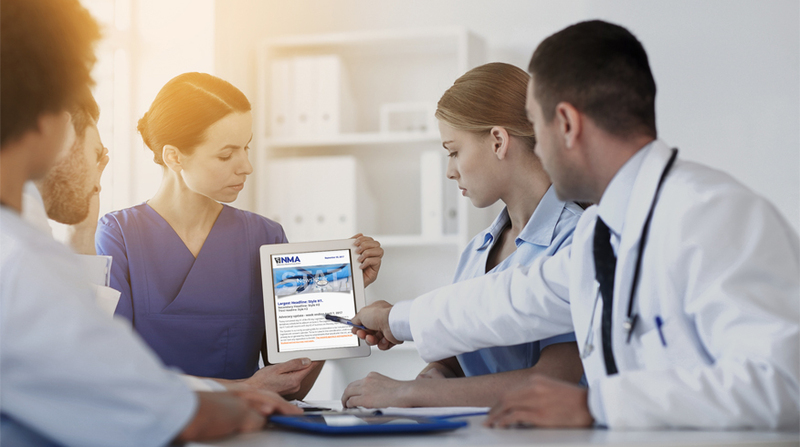 AMA continues to strongly advocate against this provision, as it would eliminate the scheduled updates that physicians would receive under MACRA. This provision removes the mandate that meaningful use standards become more stringent over time. The bill eases burden on physicians because they no longer have to submit and receive a hardship exception from HHS. Furthermore, the bill should apply to both meaningful use and QPP’s advancing care information. Funding for the PPHF is reduced by $3.6 billion between FY 2018 – 2027. Funding is zeroed out after 2027. This is contrary to AMA policy. Extends the work GPCI floor for two additional years through January 1, 2020. Appropriates $7.5 million for 2018 and 2019 for HHS’ contract with a consensus based entity for priority setting, measure endorsement, measure maintenance and annual reporting to Congress. This extends the provision in MACRA that went thought Oct. 1, 2017 for two more years until Sept. 30, 2019; however, it reduces the appropriation from $30 million to $7.5 million. Allows a Medicare Shared Savings Program (MSSP) Accountable Care Organization (ACO) to choose to have its beneficiaries assigned prospectively. Provides protection for participation in the Beneficiary Incentive Program from the anti-kickback statute and, in turn, the civil monetary penalties law. Overall, the AMA supports the intent of this provision but would want additional flexibility beyond providing only cash incentives, such as cost-sharing reductions or in-kind incentives. This provision would permanently repeal the outpatient therapy caps beginning on January 1, 2018. It would continue to require that an appropriate modifier be included on claims over the current exception threshold indicating that the services are medically necessary, and would lower the threshold for the targeted manual medical review process from $3,700 to $3,000. Removes the statutory limitations on use of telehealth for Medicare patients undergoing home dialysis therapy as long as the individual has received a face-to-face clinical assessment. AMA supports this provision. Permits a Medicare Advantage (MA) plan to offer additional telehealth benefits in its annual bid amount beyond the services that currently receive payment under Part B beginning in 2020. MA plans must offer both telehealth and in-person options to the beneficiary. The AMA has concerns with provisions that would include an array of technologies under the rubric of telehealth that should not be added to the definition of telehealth, such as remote patient monitoring, which is already covered under Medicare without the geographic and originating site restrictions as it is not considered telehealth. Removes geographic restrictions on provision of telehealth services for the Medicare Shared Savings Program (MSSP) Track II (only if an ACO chooses prospective assignment and remains at two-sided risk), MSSP Track III, and two-sided risk ACO models with prospective assignment that are tested or expanded through Center for Medicare and Medicaid Innovation (CMMI), as determined appropriate by the Secretary of Health and Human Services (HHS). Also, it allows patients to receive telehealth services from the beneficiary’s residence. The AMA supports this provision, but continues to advocate for waiver of geographic restrictions and restrictions on the home as an originating site for one-sided risk models, as well. Eliminates the geographic restriction for Medicare beneficiaries who require telehealth consultation services for the purposes of diagnosis, evaluation, or treatment of acute stroke symptoms. The AMA supports this provision. Provides for coverage of DNA Specimen Provenance Assay (DPSA) testing. This section would provide for five years of coverage under the Medicare program and a review of the policy’s impact on identifying false positive results and aiding beneficiaries in avoiding unnecessary surgery and treatment. AMA supports this provision. Levels the playing field between biologics and biosimilars by adding biosimilars to the Medicare Coverage Gap Discount Program. Additionally, by providing the 50 percent discount equally, beneficiary out-of-pocket costs will be reduced and the Medicare program will save money as a result of covering the less expensive medication. The AMA supports this provision. Funding for community health centers is extended at the FY 2015 – 2017 annual level of $3.6 billion for two additional years. Funding for the National Health Service Corps is extended at the FY 2015 – 2017 annual level of $310 million for two additional years. Funding for Teaching Health Center Graduate Medical Education is extended for two years at an annual level of $126.5 million, more than doubling the current annual funding for this program.